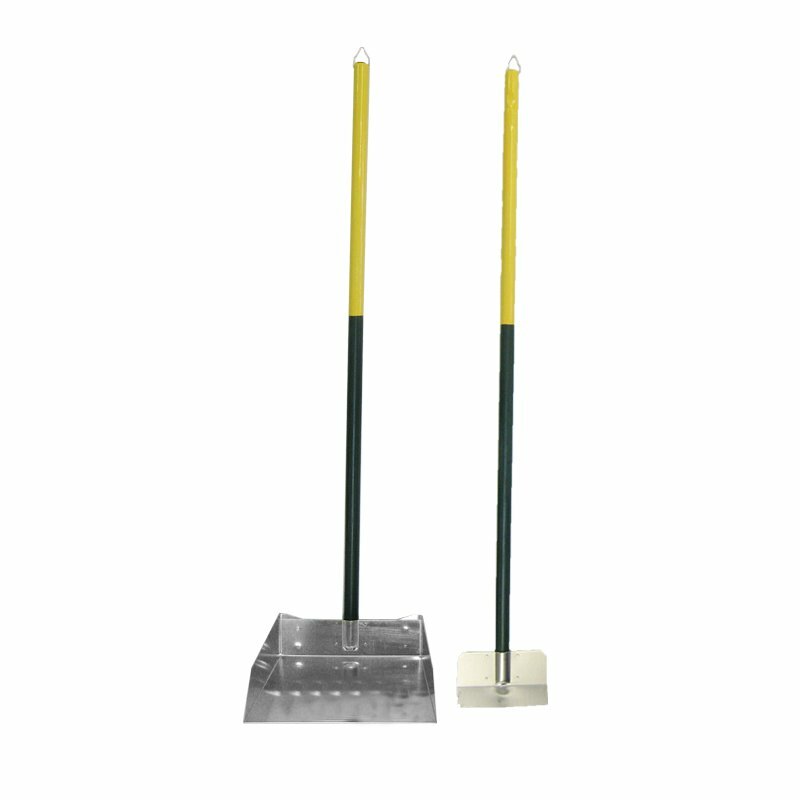 Four Paws Pooper Scooper - Large Spade Set. $29.99. Well made. Scooper is a nice big size. Saves trips. Great product. Will probably buy another. These are the best I've found. Use at my home setter kennel and my vet hospital. Connection points seem a bit flimsy but haven't given up. After putting it together (arrived in 2 boxes shipped separately) I picked up the whole yard twice and it held the weight of a full load. It will take time to fully review but so far so good. It's much better than picking up by hand. The handle is loose at the attachment point. After tightening the screws several times it is still loose. There needs to be a better built, stronger pooper scooper. Great for scooping up animal waste around the yard. 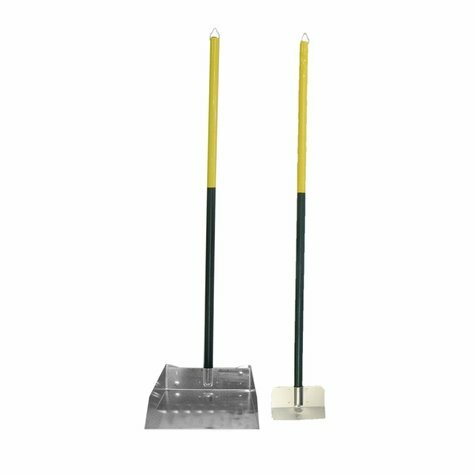 This spade set is extremely durable and made with a stainless steel collection base that won't rust. Base Measures: 9.5" x 10.5"
Four Paws Pooper Scooper - Small Spade Set also available.